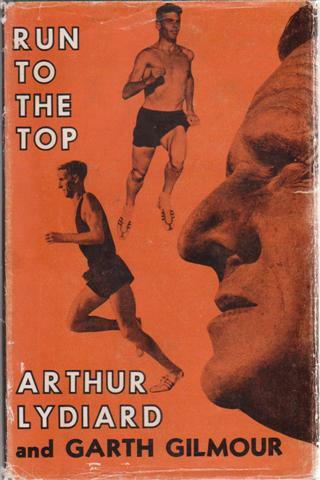 Books about sporting fixtures and famous athletes. Books on teams, matches, sporting events, biographies and memoirs. Athletics, track and field, football, cycling etc. 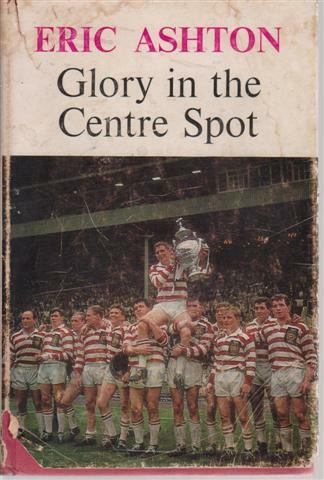 Autobiography of the Wigan and Great Britain Rugby League player. VG- VG- foxed closed edges, price clipped DW has some surface soiling and short edge splits. 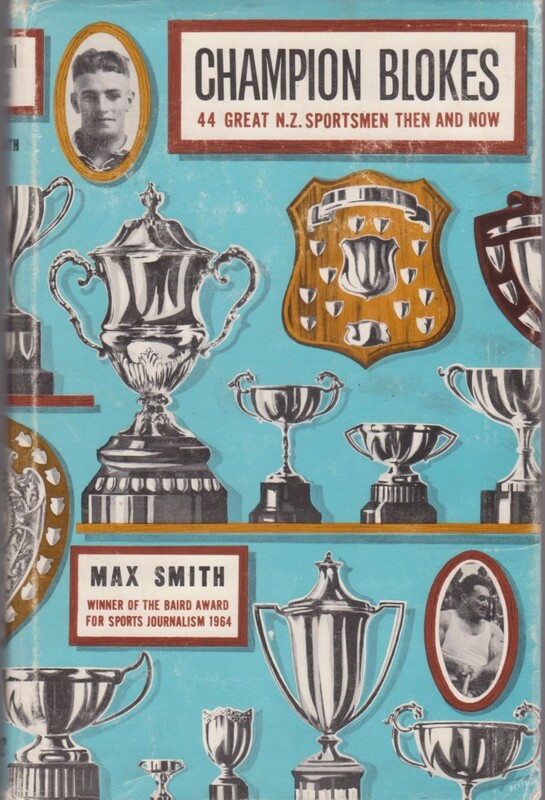 $20 C/B [Item# 395 SPORT] Hodder 1963 first edition hard cover, 160pp + plates. Australian test cricket series. 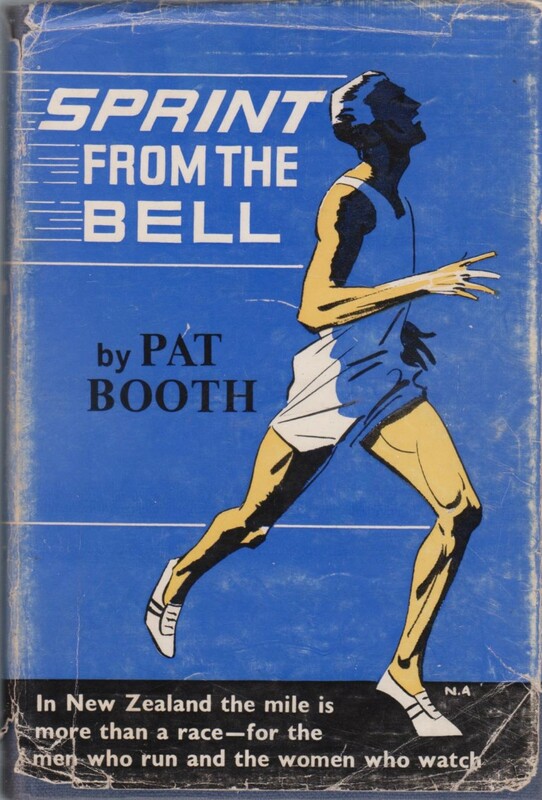 A novel about a 'minute-mile race' runner, Steve Barlow, who takes up running as a hobby, training in the Hutt Valley. He becomes consumed by the desire to break the 3 minute 50 second mile record. VG hardback in G- dust jacket with chipped to ends and corners with some creasing, split along lower fore edge fold taped on reverse. Name blacked out to first page. Collins 1966 first edition, 254pp. 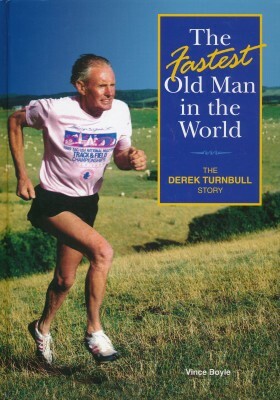 Derek Turnbull set his first record in world masters competitions in 1977, aged 51, following up with 25 age-group world records and winning 28 World Masters Games gold medals. He competed in many events including cross country and marathon. A farmer in Southland he was involved in competitive running until his death in 2006, just before his 80th birthday. Pat Turnbull 2006, 256pp. Illustrated. VG G light foxing to prelims 'CAIRNS' in pen to fep, DW chipped with some lost to tail of spine and corners. Hodder May 1950 first edition cloth, 320pp. Cricket autobiography. Reed 1966 rpt hardcover, 194pp + plates. 1960s All Black rugby football legend. VG- name to paste down, bumped corners. Reed 1966 first edition hardcover, 194pp + plates. 1960s All Black rugby football legend. 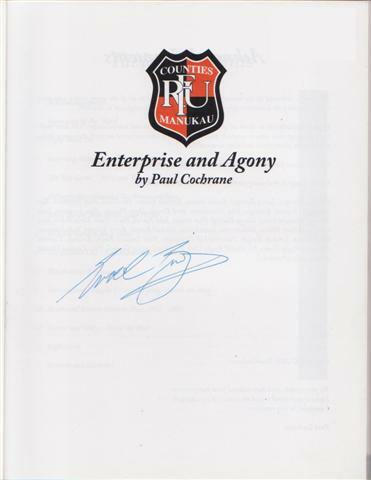 Manukau Counties rugby football club history from 1955-2005. VG softback, There is a signature to the first (title) page but I cannot read the name. 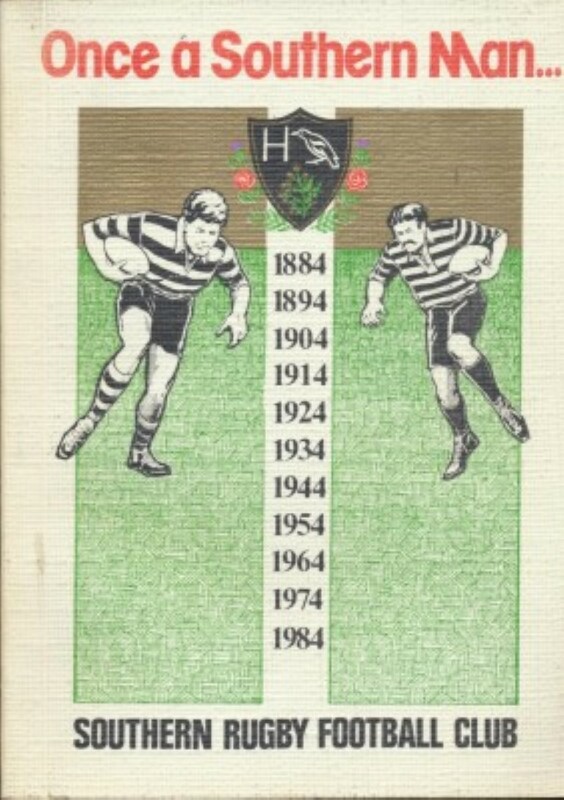 The history of the Southern Rugby Football Club 1884-1984. A centennial history of the club. With stories, statistics, biographies and photos. 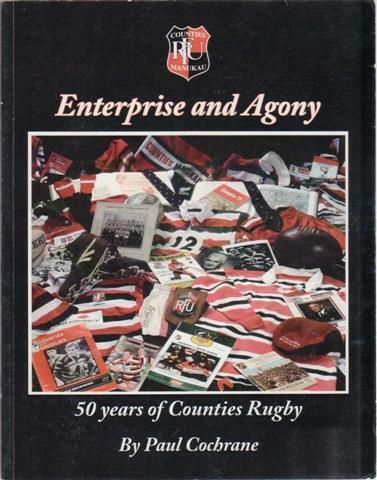 Southern Rugby Football Club 1984, 208 pp. VG VG DW shows some ageing. VG VG signed by both authors to title page, bottom edge of boards rubbed. W&T 1967 first edition cloth, 154pp + plates. Foreword by Bryan Silk. Former NZ Open and amateur champion. 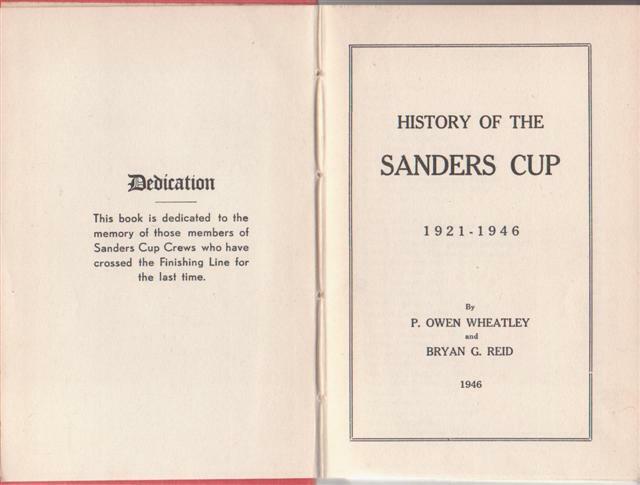 History of New Zealand golf in the thirties and forties. Mark de Lacy and double world champion Peter Belliss reveal why bowls is almost entirely a mind game; and then they tell you how to develop your mind so that you can't help but win. 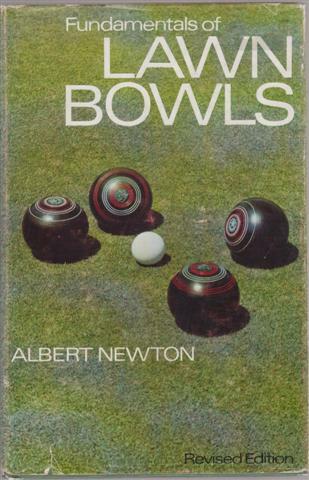 In a clear, no-nonsense style, this book shows how you can harness the power of your mind to win at bowls. VG sunned spine to DW. Lydiard describes his training regime, which contributed to the sucesses of Peter Snell (gold in the 800 m) and Murray Halberg (gold in the 5000 m.) in the Rome Olympics of 1960. VG hardback in VG- dust jacket with some edge wear. Free endpaper has top corner clipped. Reed 1963 second impression, 182pp + plates. 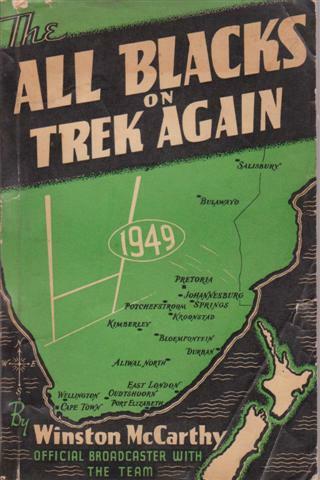 In depth account of the All Blacks tour of South Africa in 1949. McCarthy was the Official Broadcaster with the team. Play by play accounts of the matches as well as other highlights of the tour in general. G+ softback with some wear or edge chipping to paper wrapper. Some minor foxing. Reed 1950, 222pp + plates. Iceman, the Michael Jones Story. 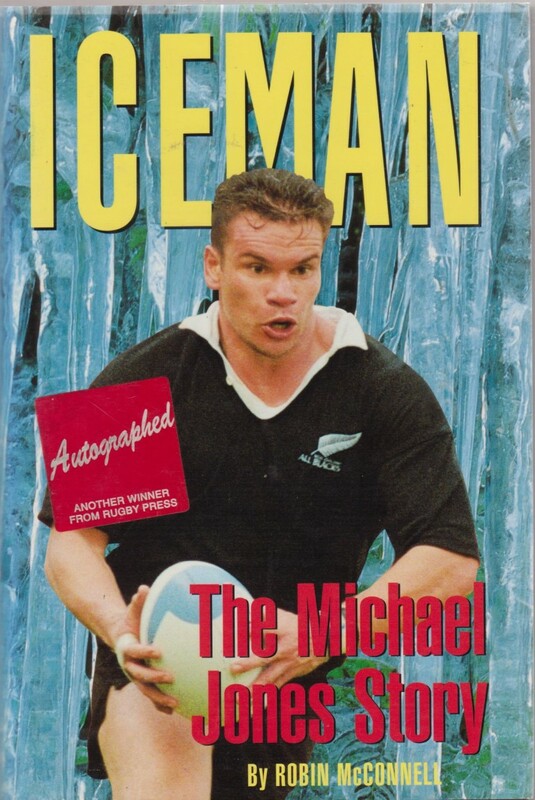 Scarce first edition biography of a great All Black Michael Jones (1987-1998), who was nicknamed 'the Iceman' because of the number of icepacks he needed for injuries. VG hardback in VG dust jacket with an original label signifying it is a signed copy, as usual it is slightly sunned to the spine. Signed by Michael Jones, and has a small rubber name and address stamp at top corner. Rugby Press 1994 first edition, 268pp. 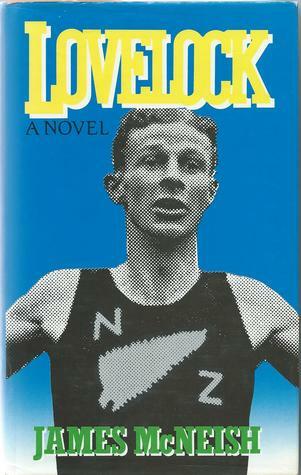 The story of Jack Lovelock who won the 1500 metres at the 1936 Berlin Olympic Games. He was a Rhodes Scholar and a research doctor in New York where he mysteriously fell in front of a train and was killed. VG hardback in VG dust jacket . Small gift inscription to top edge of front free end paper. Hodder 1986 first edition, 399pp. VG- rubbed edges, aged paper stock. Angus & Robertson 1952 first edition cloth, 180pp + plates. Foreword by Don Bradman. Cricket. 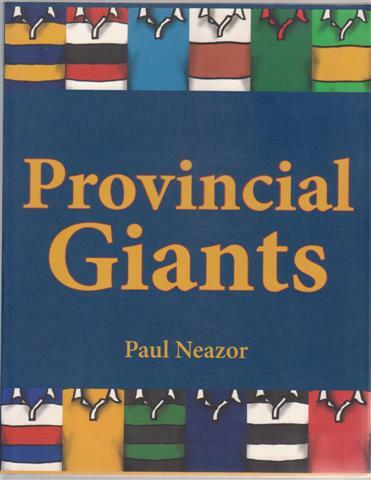 A record of the most notable seasons from the great Provincial Rugby Football teams. Each province is treated to an examination of its most memorable year. The ability to play a game well is one thing; the ability to pass on the skill to a lesser player is another. Albert Newton, the author of this book, has the capacity, in an unusual degree, to do both. As winner of the Australian Singles Championship in 1957-8, the South Australian Masters Singles in 1962, and other high-ranking events, his position as a player is unquestioned, and as a coach and teacher his services are constantly in demand. All the important aspects of the game are dealt with here: equipment, the different shots, the play of the various members of the team, tactics and other factors which make bowls one of the most skilful and fascinating of pastimes. Written in simple language and illustrated with photographs, line drawings and diagrams, The Fundamentals of Lawn Bowls is an invaluable guide to all bowlers who wish to improve their game. VG hardback in G+ dust jacket with minor handling wear. Angus & Robertson 1974 revised edition, 124pp. VG VG- DW slightly faded, soiled and worn at edges. Reed 1961 first edition hardcover, 218pp + plates. VG- cloth rubbed to corners, foxed edges. Edward Arnold 1947 first edition cloth, xiii 278pp + colour double frontis and plates. 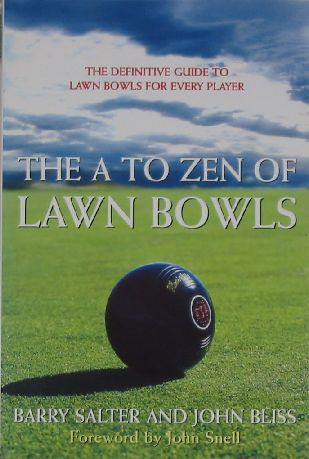 More people play lawn bowls in Australia than any other nation on earth, and this is the first book on bowling with something for everyone - from the raw beginner to those who are familiar with the game but would like to know more, right through to the experts who want the secrets of truly good bowling. This book is presented to you in three sections. The first section, 'Beginners', is written for the person who may have spent an idle half-hour hanging over the fence at the local bowling club, wondering just what was going on there. You may even have thought that this was a game only for the elderly or retired person; however, this book will soon show you otherwise. The second section, entitled 'Bowlers', is for the person who has already discovered this great game of ours and wishes to learn more about it and improve their skills and approach to the game. 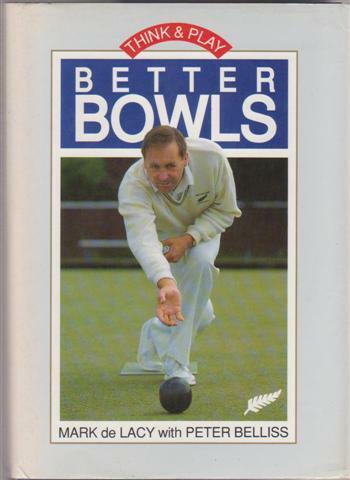 The third section, 'The Bowler's Mind', is where all the real secrets about good bowling are and shows you that this is a game for the thinker, not the ham-fisted. Centennial publication of the C.R.F.U. recording the history of the club. Chronological history plus records and staistics. 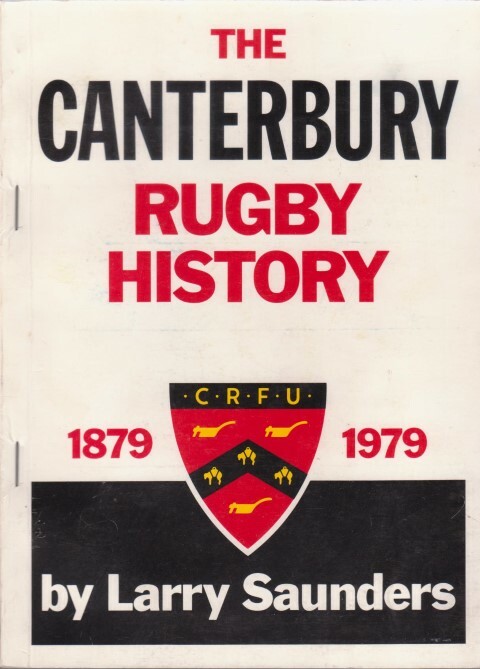 Canterbury Rugby Football Union 1979, 144pp. VG G DW faded, tears tape repaired on verso, complete but faulty. Book light foxing to closed edges. Intends to help golfers over 45 keep up their game by altering their style. Peter Davies 1960 first edition cloth, 208pp + plates. Foreword by Gene Sarazin. 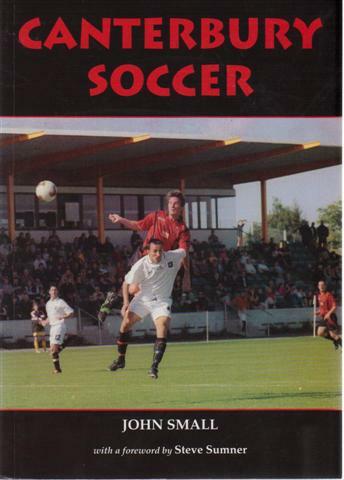 A century of football (soccer) in Canterbury province. Biographies of 44 great New Zealand sportsmen then and now, from a variety of disciplines including jiu-jitsu, wrestling, wood chopping etc. VG hardback in VG dust jacket with light wear with splits to corners, minor mottling to cloth spine. Whitcombe and Tombs 1964 first edition cloth, 230pp+plates. 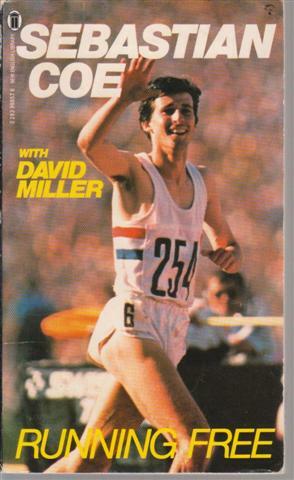 Autobiography by Peter Snell, Olympic and Commonwealth Games Middle Distance runner, winning gold and breaking World Records. A prominent athlete in the 1960s, Snell was coached by Arthur Lydiard. Co-authored by Garth Gilmour. VG hardback in G+ dust jacket with a few edge tears and a chip missing from top of rear panel. Minerva 1965 first edition and impression, 240pp. 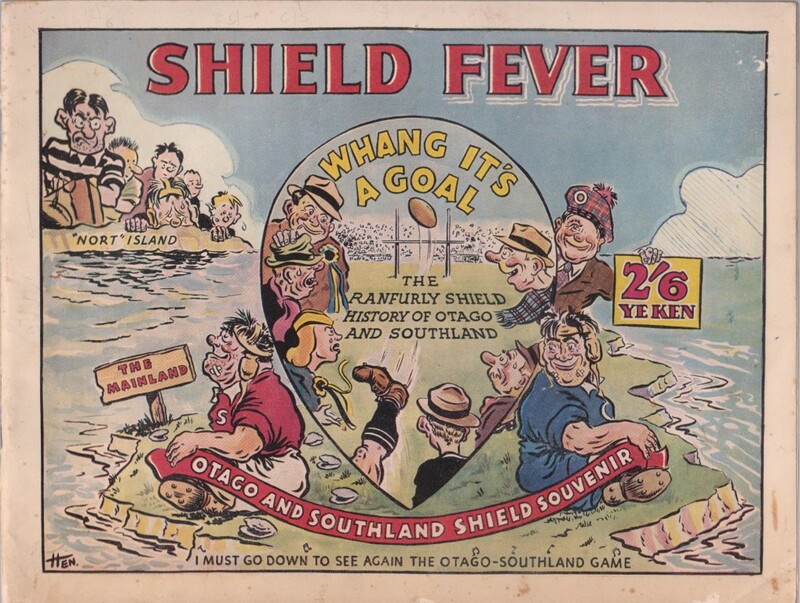 Souvenir publication for th 1950 Ranfurly Shield challenge. Includes history of the NZRFU from 1875, cartoons by 'Hen', humour, and advertising from various Otago and Southland firms etc. Colour front and rear covers. VG- softback, stapled, minor age or wear. Evening Star Company 1950 First Edition, 56pp. Muller 1961 first edition cloth, 192pp, illustrated with photographs. Forewrod by Tommy Armour. Seven women golfers give advice. Collins 1974 first edition hardcover, 256pp + plates. Biography of the great rugby All Black. 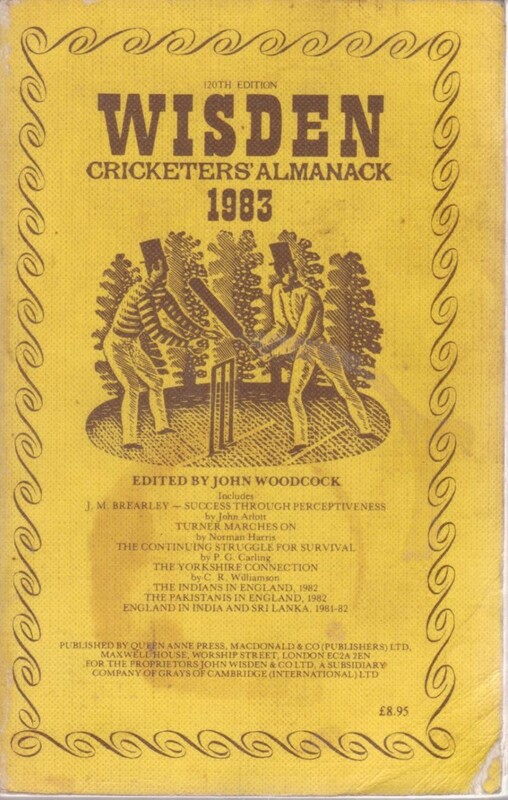 A handbook for cricketers, with photographs of techniques. 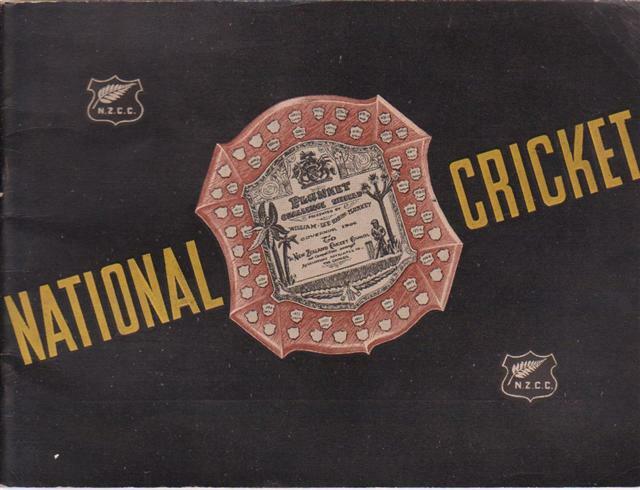 First page has a memorial by W. A. Hadlee, to cricketers killed during the (Second) World War. Has period advertising throughout. The history of a New Zealand yachting competition. G+ softback, cup ring to cover, curled bottom corners. MacDonald / Queen Anne Press 1983 limp cover 1331pp.